I got an error message, what should I do? 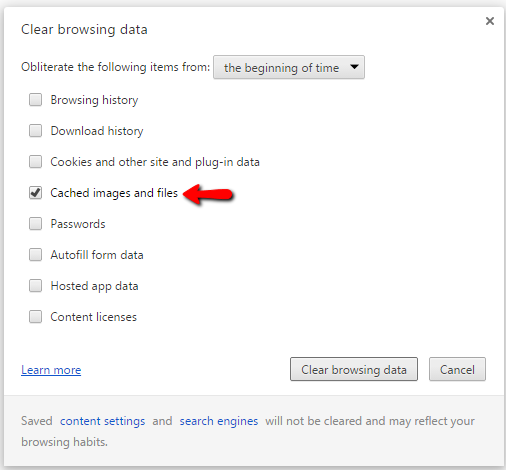 When troubleshooting issues with our games, your first port of call in attempting to resolve the issue should always be to clear your browser's cache. After clearing your cache, exit the browser completely before attempting to access the game again. In Windows, close all your browser windows; in Mac OS X, use the quit command (Command + q) to quit your browser. From the “Obliterate the following items” drop-down menu, you can choose the period of time for which you want to clear cached information. 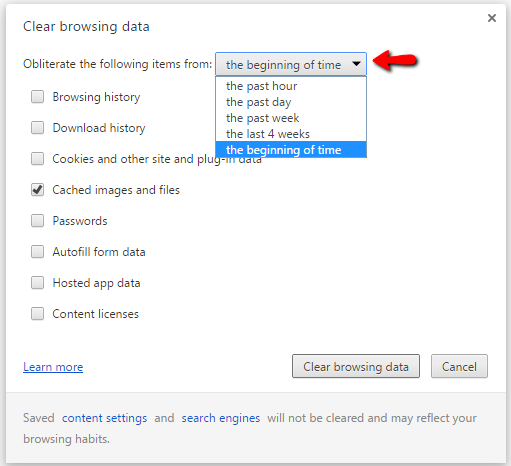 To clear your entire cache, select the beginning of time. 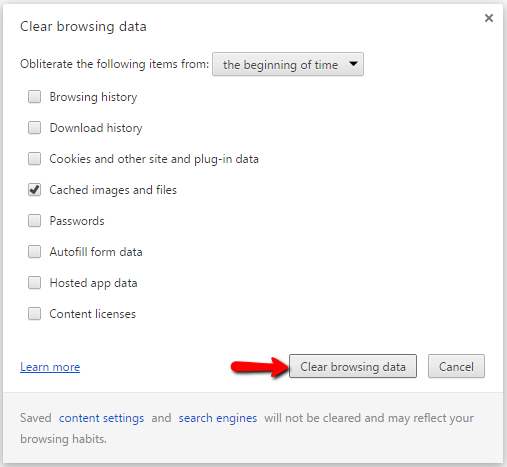 In Internet Explorer, select the Tools button , point to Safety, and then select Delete browsing history. 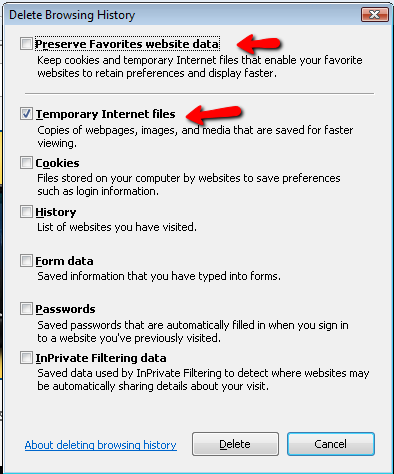 Deselect Preserve Favorite website data and select either "Temporary Internet files" or "Temporary Internet files and website files"